Portland, Oregon - Northwest Analytics has been designated by the Digital Manufacturing and Design Innovation Institute (DMDII) and The Dow Chemical Company to present at their joint event exploring the power and benefits of the operational guidance delivered by manufacturing analytics. 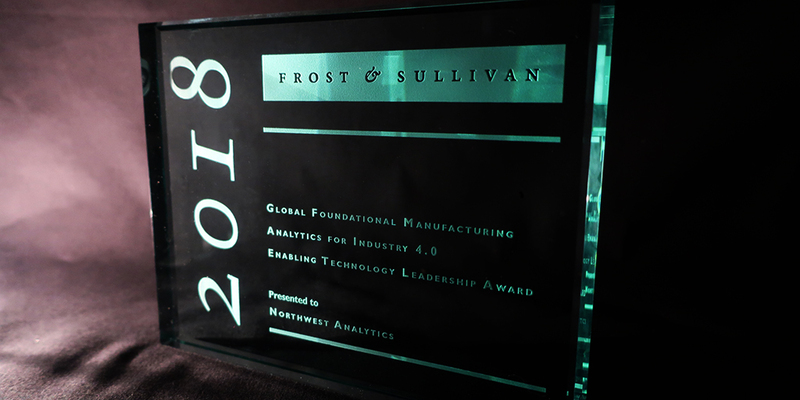 PORTLAND, Ore. -- Northwest Analytics has been recognized by Frost & Sullivan with the 2018 Global Enabling Technology Leadership Award for NWA Focus EMI® the company’s foundational manufacturing analytics Industry 4.0 analytics platform. The award honors Northwest Analytics for its commitment to industry-best analytics solutions, services, techniques and packages. The Northwest Analytics team is excited to be participating the AIChE Spring Meeting. It is the year’s key technical conference for practicing chemical engineers. A wide range of subjects relevant to the current needs of industry is covered. Plus, GCPS covers the critical needs of process safety practitioners more broadly and deeply than any other conference. The time-delayed and disconnected nature of the lab relative to the rest of the plant operations plays a significant role in the minimization of the importance of the lab data on active manufacturing processes. This presentation will delve into how current manufacturing technology ecosystems have evolved to enable the active linking of the lab data with related process and operations data sources through real-time analytics to drive the immediate course corrections necessary to keep process in control and product within specification. As more pharmaceutical and life sciences companies are beginning to integrate tools to meet CPV guidelines, the focus is on constantly monitoring the most important parameters (Critical Process Parameters- CPPs) effecting product quality (Critical Quality Attributes- CQAs). Although analytics is the key to implementing these projects many challenges exist. Where do you start a CPV initiative? Who should be involved? How do you ensure success? Read more about Northwest Analytics will be a featured speaker at #IFPAC 2017 February 27-March 2, 2017.